My name is Isabelle Persson, and I am currently working in Southern Kyrgyzstan with Centralasiengrupperna’s main local partner Novi Ritm in Osh. At 25 years, I have managed to obtain a Bachelor’s degree in Peace and Conflict Studies at Malmö University, where I previously studied pedagogics and drama. I also studied abroad one semester in Melbourne, Australia, where I had the pleasure of not only enjoying the amazing culture of the First Peoples but also get out of my comfort zone and study Macroeconomics and International Business. My civil society engagement has largely been party political throughout my life, but during recent years my focus have been mainly with the developments in immigration in Sweden and acting as a coordinator for the helpline services offered by Tjejjouren i Lund. For those of you who may not have heard about Tjejjouren i Lund, it is a separatist organization by young people who identify as women, for young people who identify as women and provides services where women are allowed to ask and express freely. It is very close to my heart. As you, dear readers, may have noticed by now, my interests are many and I consider myself lucky to have had such an enriching environment to develop in. Here in Kyrgyzstan, my colleague Josefin Åström (who has introduced herself in a previous blogpost) and I are working in a new and very much different environment. We have been here in Osh since the 9th of September and already my lessons learned are numerous! Working with youth in a different cultural context is challenging but, oh, so amazing! They continue to surprise me with their insightful words and future dreams. Hopefully, I provide them with something in return. Some of my tasks here are focused on organizational development and I also conduct research in order to produce contextually relevant material on UNSCR 1325 which can be used for distribution and as inspiration. Additionally, I facilitate trainings that relates to women’s rights, ranging from resolutions to self-defense techniques. I am also allowed to conduct an own small project, and I have chosen to dig deep into recent history to find women of different professions at different levels of Kyrgyz society, because, like in many Western countries, HERstory tends to be forgotten. 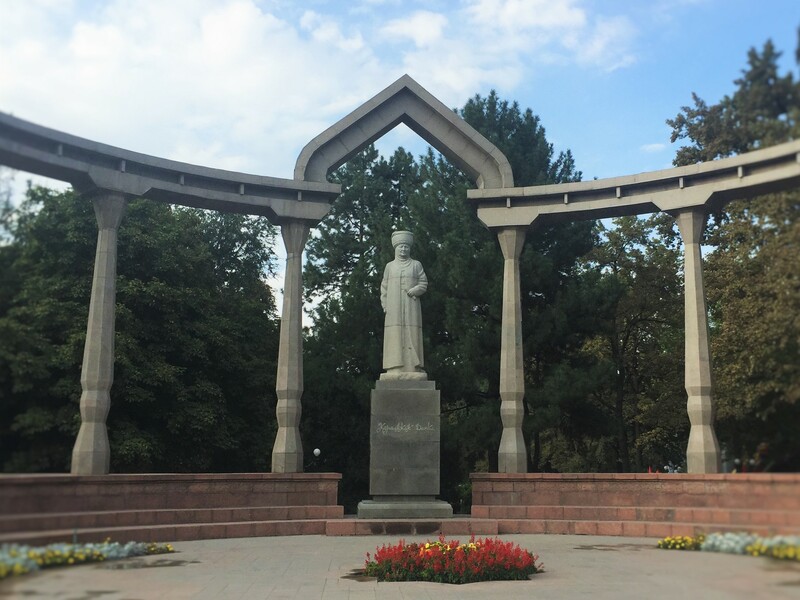 What has been central in the construction of Kyrgyz national identity post-independence? What roles have women (and, to some extent, men) been assigned? How does this impact the lived experiences of women in Kyrgyzstan today? Hopefully, I will be able to write the texts in a language accessible to most people despite its academic focus and execution, and I also hope that you, like me, will enjoy and learn something new about Kyrgyzstan! CAG exhibition Activism, Civil Society and Rights Based Work in Kyrgyzstan now touring Sweden!